Tis the season for a little something sweet, right? As mentioned, I write a monthly resident recipe article for our 70-page full color neighborhood magazine. 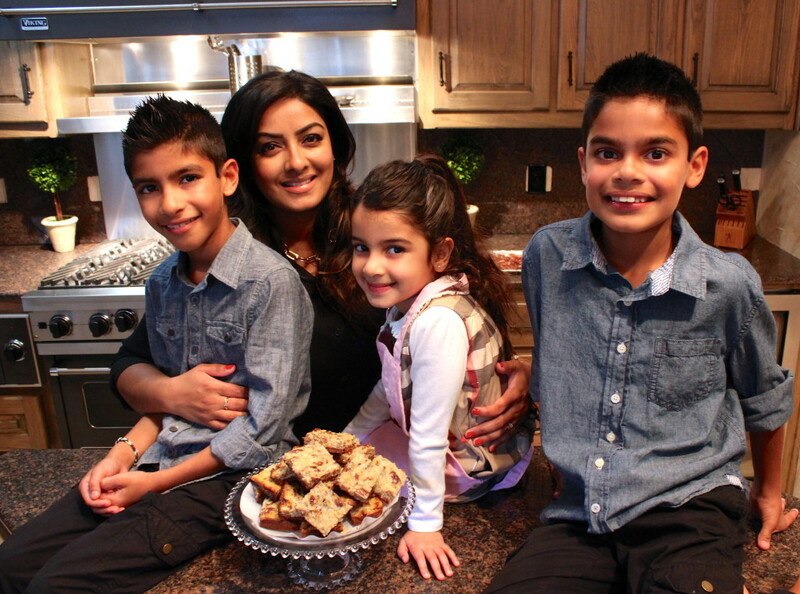 For the month of December I’m featuring a wonderful *pecan coconut bar recipe submitted by this super sweet family who live just down the street from us. *I actually changed the name of these bars from “Pecan Coconut Bars” to “German Chocolate Bars”. 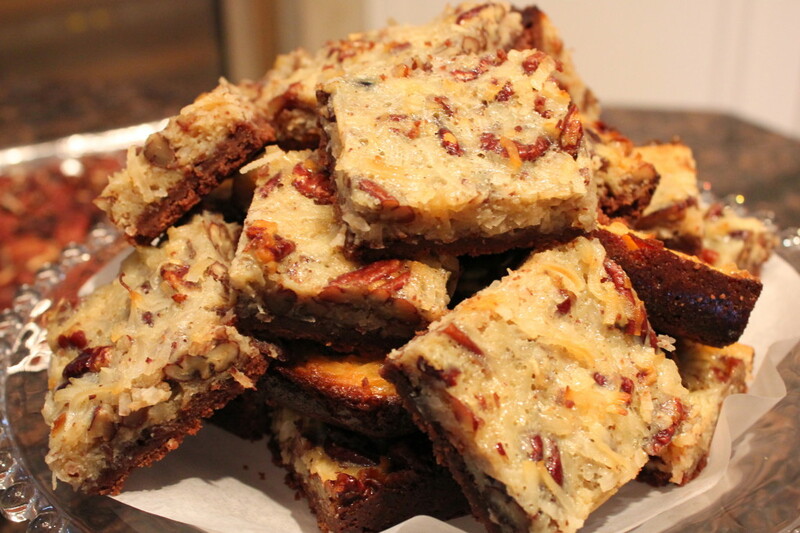 With a chocolatey crust and a sweet coconut filling, after just one bite, they will definitely remind you of a german chocolate cake, in dessert bar format. 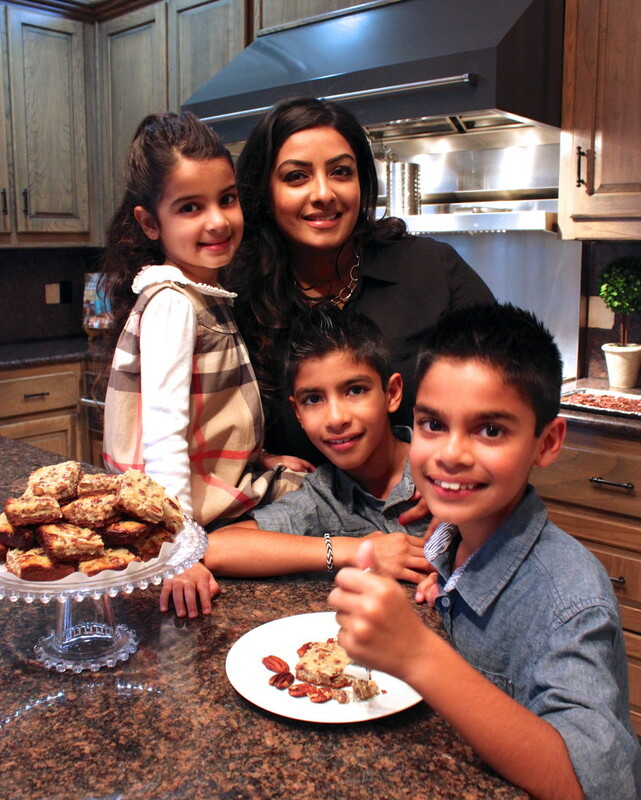 Spread the holiday cheer this year with sugar, savory pecans and lots of butter with these delicious pecan coconut bars submitted by Faozia and her three kids. 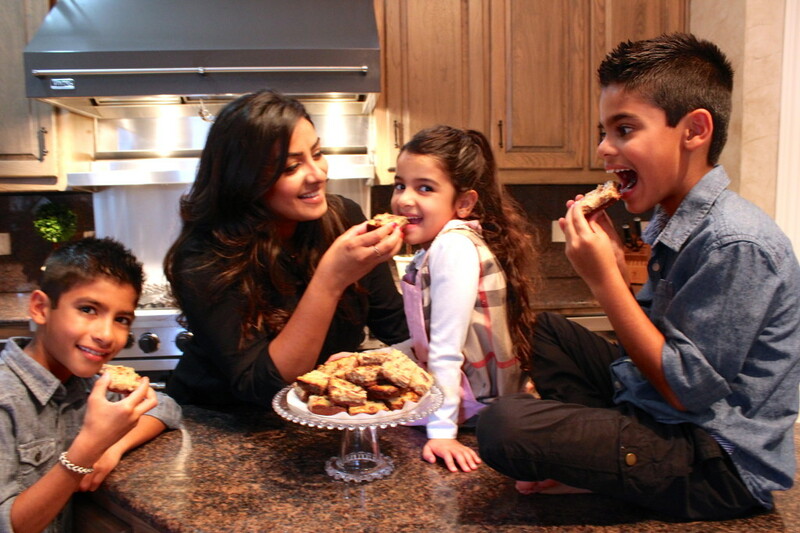 Bringing a smile to her family and friends, these tasty bars are always a hit at parties. 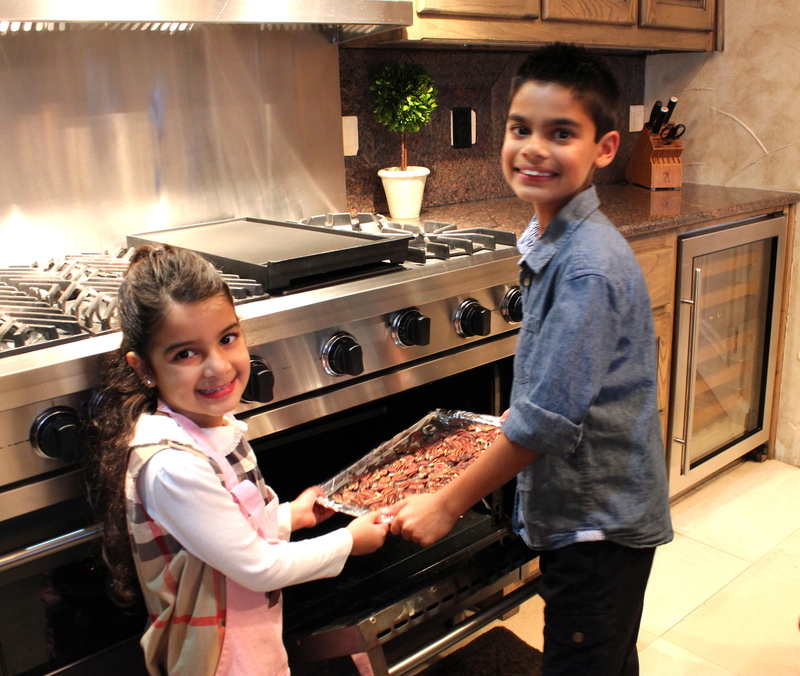 Faozia adds, “Baking in our house is a wonderful activity for my kids to have fun, learn how to cook and for me forming fond memories when we do it together. 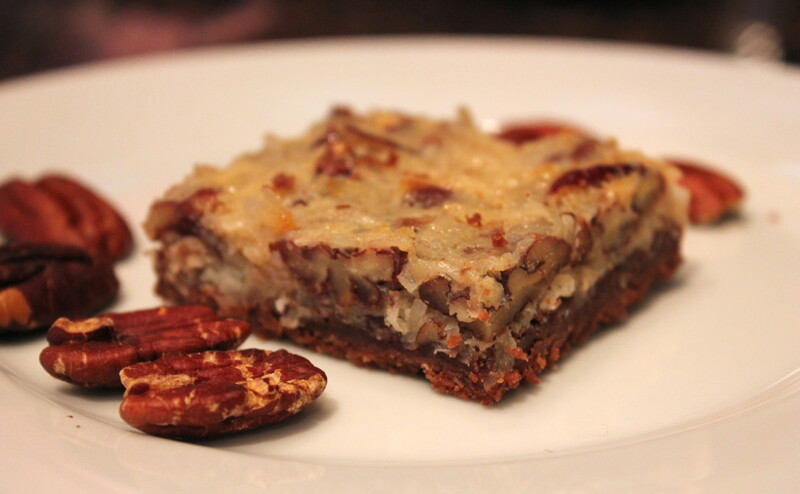 These pecan coconut bars are decadent and part of what makes life more enjoyable!” Happy Holidays and enjoy! Getting ready to roast the pecans. FOR THE CRUST: In a large bowl, combine flour, sugar, cocoa powder and baking powder. Cut in butter until crumbly. Press mixture on bottom of ungreased 9 x 13-inch baking pan. Bake for 12 minutes. Remove from oven, let cool slightly. FOR THE FILING: In a medium bowl, combine eggs, condensed milk, coconut and roasted pecans. Pour over partially baked crust. Bake 18-20 minutes or until set in center. Cool and cut into bars and enjoy!